It’s cute how she instantly thinks they’d recognize her outfit from two regenerations ago. Following last week’s monumental episode, “Demons of the Punjab,” Doctor Who is targeting mega-corporations with “Kerblam!”, which has the Doctor and her companions heading to a moon orbiting the planet of Kandoka. The entire moon has been converted into a giant warehouse for a colossal delivery company (insert obvious Amazon joke here). The company freely uses robot labor—something that doesn’t exactly sit right with the Doctor. After all, some of her best friends are robots. 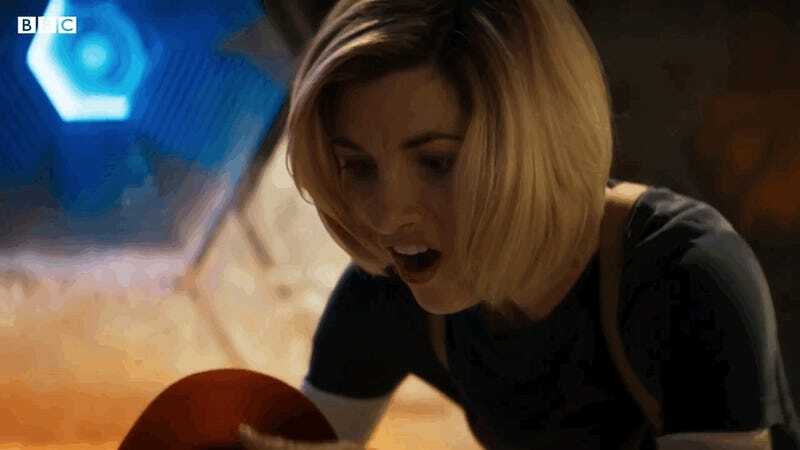 The clip was shared as part of Doctor Who’s campaign for BBC’s Children In Need, a charity that the series has a long-standing relationship with. The charity focuses on helping children who are disadvantaged in Great Britain through grant programs and aid. The charity raised about $65 million during Friday’s fundraiser. Doctor Who returns this Sunday.